The Archives for Women in Medicine is pleased to announce our 2011-2012 Foundation for The History of Women in Medicine Fellow: Hilary C. Aquino, Ph.D.
Dr. Aquino’s project, Dr. Leona Baumgartner: Crusader for the Public’s Health, will explore the newly opened Baumgartner papers here at the Center for the History of Medicine. 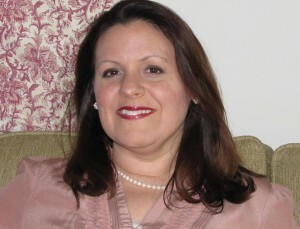 Her research seeks to provide insight into the ways in which Dr. Baumgartner shaped the direction and focus of the New York City Department of Health, as Director of the Bureau of Child Health, Assistant Commissioner of Maternal and Child Health Services, eventually becoming the first female Commissioner of the entire department. Aquino will explore Dr. Baumgartner’s views on improving the access to and quality of medical care for urban minorities, specifically women and children. She will also examine the ways in which Baumgartner sought to improve the health of women and children in the developing world in the 1960s in her role as Assistant Director for the Agency for International Development. Dr. Aquino received her B.A. from Dickinson College in History and French, and my M.A., Graduate Women’s Studies Certificate and Ph.D. from the State University of New York at Stony Brook. Aquino is Assistant Professor of History at Albright College in Reading, PA, where she teaches the Social History of Medicine and Public Health, the History of Female Healers, United States Women’s History, Women’s Studies and American Indian History. The Women in Medicine Fellowships are offered in partnership with the Foundation for the History of Women in Medicine.